A couple of months ago I let my innate love of gadgets get the better of me and I picked up a Sony Reader. I’m going to gloss over all but the most interesting bits, you can find all the technical details on Sony’s site. The Screen: The crowning jewel of the Reader is the screen. The eInk display is a whopping 150dpi, has fantastic contrast, and has a 180 degree viewing angle. It doesn’t have a backlight, so you do have to have a light source to read by, but that also means that it is extremely thrifty as far as battery consumption is concerned. It really does seem like you’re reading from a printed page. It’s that good. Battery Life: Sony advertises 7,500 page turns. I’m not sure that I believe them, but I know that I can get at least 4,000. I typically recharge every 3 or 4 books, at around 1,000 pages per book, and my reader hasn’t come close to running out of power yet. Format Support: It supports Sony’s proprietary BBeB format as well as RTF, PDF, and JPEG for display. It also has a rudimentary MP3 player, but I haven’t bothered with it since I already have an iPod. The PDF support has a few gotchas, and it’s really only good for all text material, so if you have PDFs that have a lot of figures, the Reader is not a good choice for viewing them. Content: Sony’s Connect store has a fairly limited selection of books, but it seems to be growing at a reasonable rate. There is quite a bit of text content available online from sites like Project Gutenberg, and Baen offers all of its books in a number of DRM-free formats. I haven’t had a problem finding things to read, but it is definitely a limitation right now, particularly if you have a specific book that you’re interested in reading and aren’t willing to limit your selections to what is available. Navigation: The biggest weakness of the Reader is its navigation. The eInk display refreshes slowly, around 3 seconds per page turn, so Sony had to get creative with the UI. They added ten buttons across the bottom of the Reader as well as a 4 way thumb stick. You can navigate menu items either with the thumb stick or by pressing the corresponding number directly. The page refresh speed isn’t really an issue when reading, but is definitely an annoyance for navigating the UI for selecting books. Fortunately, when reading the only two buttons you’ll care about are the next and previous page buttons, and they work just fine. All in all, it’s a great device. It keeps me from adding to the mountain of books that I struggle to find places to store and ensures that I’ll always have something new to read when I finish whatever it is that I’m reading at the time. Highly recommended. Mark Imbriaco wrote this on Apr 03 2007 There are 42 comments. Thanks for the summary. I’m going to check it out. Damn you Sony and your proprietary formats! If you like the e-book thing, you should check out my friend’s project called manybooks.net. He finds public domain books all over the web (mostly from gutenberg) and makes a nice site for them. He also offers each book in a huge number of formats, so that no matter what little gadget or device you’re on, you should be able to get any of the books in the format you need/want. As long as they offer the new Harry Potter book when it comes out in a few months, I’d be happy with it. I had high hopes for this device and bought one the minute it was released back in November. I used it for a few weeks but it has sat on the shelf since then. I’ll probably get rid of it on eBay soon. Existing landscape PDF’s get mangled. Pragmatic Friday PDF’s are in landscape format, but the Sony Reader assumes that everything is portrait, so it letterboxes it into an unreadable format with too much white space. Existing portrait PDF’s are too small to read (from O’Reilly, Addison-Wesley, and others). The magnifying option is partially helpful but slows down reading time. I started to write an RSS reader that would print out to PDF, but it’s easier to just carry around my laptop and get full functionality. I tend to skim technical books quickly and then go back to read parts that interest me, which doesn’t work well on this device. It might work better for reading novels that are more linear. The battery life sounds great but it’s a pity about the landscape formatting. Anybody know if Sony has an upgrade or new model in the works? topfunky, The Sony Reader website claims you can hold down the “Size” button for 5 secs, and it will rotate from portrait to landscape. Does that not work (or not work well)? I too have a Sony Reader… use it every day! It is indeed a spectacular tool that I have a hard time imagining me not having. As soon as I finish one book, I am immediately online finding another. I also have a hard time with their software…first, it won’t work on my Mac. Second, the store (only accessible through the software) does have a limited selection. But, like you said, it is growing, so we’ll see how it goes! Thanks for the mini-review. I’ve been tempted to get one, but I figured I ‘d wait until the next generation, when some of the problems get ironed out. The big niche for tools like this is likely to be tech manuals and other tech-related books. I don’t like reading manuals or even contextual help on my computer, but on the other hand I hate buying physical manuals that I then have to replace whenever I upgrade software. Plus it’s hard to find anyone who wants to buy old software manuals so I usually just send them off to the recycling bin. What a waste of trees. If the Sony Reader can be fixed to address some of the issues raised here (especially compatibility with O’Reilly books), I’d buy one; if nothing else it would let me clear off two or three shelves in my bookcase! This seems like an mp3 player for books, in the sense that you can store many books on it in the same way you store many albums on a player. It’s an interesting idea, but I don’t know if I’d want to get rid of the tactile experience of reading the actual work. I think brad has an interesting idea in that it could be used for tech manuals. But that seems pretty limited, and it was mentioned that navigation is difficult. The biggest issue to me is paying for the alternative formats of books. With CDs, I can just rip them to mp3s. I never buy mp3s alone. By the same token, I would buy a book that came along with its electronic/audio version, but I would not want to spend money for a version that couldn’t be used as an actual book when I wanted. This is really interesting. I’ve been trying to find a way to minimize my book buying. It adds to the clutter of my house plus it’s a waste of paper. Plus I have a tendency to lose books or wear them out if I really like them. For a while, I was thinking of switching over to audio books on my iPod but this seems like a better option. It does indeed seem like an iPod for books as a previous poster said. Which makes me wonder if Apple will ever consider adding this kind of functionality to their iPods. topfunky, brad: The Reader is horrible for technical books for a couple of reasons: lack of search, and poor navigation besides simple next/previous page. There are some tips out there for formatting PDFs for optimal viewing on the Reader, but I haven’t spent any time on it myself. It’s really optimized for straight linear reading. Jon, Tim: The Sony software doesn’t support OSX, unfortunately, but since I have Parallels and Windows installed for other tasks, I can work around that. They’ve got some smart core features - the high-res display in particular - but some curious omissions as well. Text searching is the single most important user advantage that digital texts have over dead trees, but I can’t find any mention of search capabilities on the product site. Does it offer any? I look forward to a future where reference books and pulp fiction can be enjoyed with these, but there will always be a joy in the wrinkled dust jackets and finger-worn pages of print that an ebook can’t replicate. @MI: Snuck in under me with the answer. Poo to the Reader for reference books, then. I do hope they add text searching, as it seems an obvious core feature… as opposed to audio support, which only seems reasonable in a “let’s consolidate everything book-related, including audiobooks” sense, which I feel is a poor decision. Nice to see you contributing to SvN, Mark! Justin: I agree, it would be nice if it had searching, but it would be pretty painful to use since the screen refreshes so slowly and you’d have to suffer through the refresh time as you move a cursor around an on-screen keyboard. Hopefully the folks that design these devices will think more about non-linear reading for future designs. (E)Book Maker: The iLiad does look like an interesting device, but I’m not convinced it’s worth double the price of the Sony Reader. It wasn’t for me, at least. What if it had a feed reader? Or maybe it was just a eBook reader. Imagine that. A product that works well being one great thing! It sounds like a good device but I wonder if it would ever replace the charm of reading the paper based books? Thoughts? Not to nitpick, but “its” does not have an apostrophe when it’s possessive. I’m happy to say I own one, I use it on a Mac without Parallels and it is also a flawed product. I use it to read long articles (NY Times Sunday Magazine, Strategy+Business, long blog posts, ...) that I really want to read rather than skim. When I’m looking at the computer I’ve found I skim versus when I read a magazine or newspaper I spend more time to read the content. I get the articles on the reader by copying the text from Firefox and then pasting it into Textedit and saving it as an rich text file. I then copy it onto a memory card which I slip into the reader and have no problem reading the articles. Some of the flaws are that PDF’s aren’t as readable as plain text and that it is cumbersome to get content on to it. As the ereader is now, it is not a competitor to a lot of the books I read (Tufte style in terms of visual design) however I think it has the potential to be a serious competitor to the format of printed magazines and newspapers (not the content). Does the reader do one-page-per-screen viewing? The thing I love about Palm Reader is that the books are repaginated to always show one page per screen (with your chosen font size), so you read down a page, then turn to the next page (like with a real book). The thing I hated about the Adobe PDF reader I tried on my Palm, was that they weren’t. So you had to read the top bit of a page, then scroll down, then read the next bit, then scroll down, then the next bit, and then turn the page. It just completely ruined the flow, and I gave up after about four pages. MI: The double price brings an almost complete computer – anywhay something more than a PDA with a big screen. One can write on it, take notes, use feeds, browse the net (wireless included), so almost a TabletPC. Let’s see.. the reader has issues with properly displaying PDFs, is not compatible with popular e-book libraries (O’Reilly) and offers none of the advantages of e-books over dead trees, like search and navigation. Their (small) store is only accessible with a Windows-only application and it’s limited to US residents only. Yup, sounds like Sony alright, taking a good idea and doing a mess of the implementation. As much as I would like a dedicated e-book reader I think I’ll pass on this one. Luke: There is no scrolling at all. Everything is page based. (E)Book Maker: The iLiad is definitely a more powerful device, but I just want something to read novels on. It was (barely!) worth the price of the Sony Reader for me to be able to do that but the iLiad does more than I need and has a correspondingly higher price. If money was no object, I would definitely consider the iLiad as well. TGA: It’s not so much that it has trouble displaying the PDFs as it is that PDFs tend to be formatted for much larger page sizes than the reader’s screen. I know that most of the people really need just a “reader” but in this case to really penetrate the market, the device should not cost more than $99, and not even chinese producers see this to happen in the next 4 years. - Even then, content formatted for letter-size paper needs to be read in landscape mode, which only shows half a page at a time. I much prefer to see full pages. - No HTML support. Reading web pages on the Reader means copy-n-paste into Word and saving as RTF, or printing to PDF with a custom paper size and running through the rasterizer. Either way, not convenient at all. It’s really a pity, because once you get content on the reader, the screen is really beautiful and it’s a great pleasure to read. The problems are all software. Looks like another technology that we’re going to have to wait for Apple to nail the interface to the wall before it becomes worth having. The Sony ereader is an intriguing milestone in that it’s beginning to get us close on price, form factor, battery life, etc. It is crippled, however, by an expensive ebook store, lack of built-in support for open formats, and slow (slower than a real-life page flip) page changes. To be successful, somebody is going to need to come at this from the content and compatibility sides. Why not partner with the Guttenberg Project and ensure that downloading public domain literature is seemless? Why not make syncing from a mac available? Why not create an app that syncs and downloads web content (sort of like Avantgo on the Palm devices used to do). I think the device will get much more traction if it embraces what we all read. I believe that, at a certain point, the paper will be replaced by the digital medium in 100%. 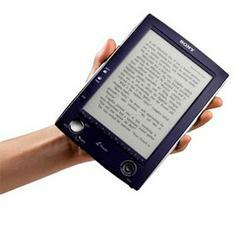 The success of Sony Reader and of other similar products will depend by their price. I believe that, at a certain point, the paper will be replaced by the digital medium in 100%. I believe you’re wrong. Paper is too easy. There are some pretty solid feed readers for this thing, which is good because the out-of-the-box RSS support blows. Check out something called “RSS2Book” – you basically throw it feed URLs and you get PDFs formatted for the reader. “Readerette” is similar, though it seems to choke on a lot of feeds that RSS2Book doesn’t, so I don’t like it as much. I really like the Reader. It’s not useful for as much as a full-on laptop, or even a PDA, but if you just want to use it to read long documents (you know, like a book), it’s great. Absolutely no regrets about buying it. I particularly enjoy being on an airplane or in a waiting room and having random people ask me what the hell the thing is and what I’m doing. What about its weight? You don’t seem to mention that? Is it confortable to hold it as book, e.g. in bed, on the couch etc? dusoft: In my completely unscientific test, it’s about the same weight as a paperback. I just picked it up and then picked up a 565 page paperback novel and they’re comparable. The reader might be ever so slightly heavier, but it’s comfortable to hold. I found the major flaw of the eBook, aside from the poor navigation (which is shocking, really – hasn’t this issue been solved by thousands of successful web implementations? ), to be the shoddy fabrication. It feels cheap. It looks cheap. There’s no joy in using it. Sony should know better. Apple is going to “nail the design to the wall,” all right. They’re going to blow Sony away. Ran ops for 37signals, Heroku, and LivingSocial. Read all of Mark Imbriaco’s posts, and follow Mark Imbriaco on Twitter. 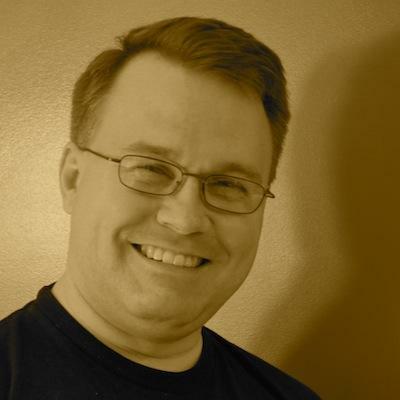 If you liked this post by Mark Imbriaco, you’ll probably like reading Nuts & Bolts: Storage, Nuts & Bolts: HAproxy, and Basecamp, now with more vroom.